Do you pick up Carter in your league, or do you not? 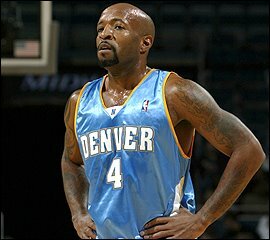 The Nuggets are a dynamic team, but Carter is behind AI, Melo, Camby, and Kenyon Martin in taking shots and getting stats. Well, Carter proved tonight he doesn’t need the ball to produce and should be on your fantasy team. Sure Carter only had 8 points on 3-5 from the field and 2-3 from the line. But he not only helped out with 10 dimes (and 2 rebounds), but he got an amazing 6 steals and 1 block, all while turning it over only once. Not bad at all for the guy whose name you can’t remember on the Nuggets. The rookie got the start tonight over Rip Hamilton and showed what he is made of. He got to the line 13 times (and made 12 free throws). 13 TIMES!!! And he’s a rookie! 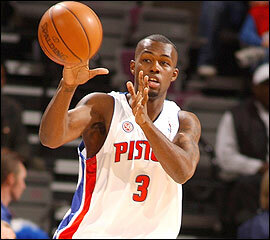 He also shot 50% from the field and added 2 rebounds, 3 assists, a steal, and a block. Not bad at all. Also, playing 33 minutes always helps the statline. He definitely looked better than fellow youngster Aaron Afflalo tonight. For daily pickups and other fantasy basketball advice, sign up for our free RSS feed.